I know I'm not the only one out there who's kids pick out all the marshmallows in their Lucky Charms!! 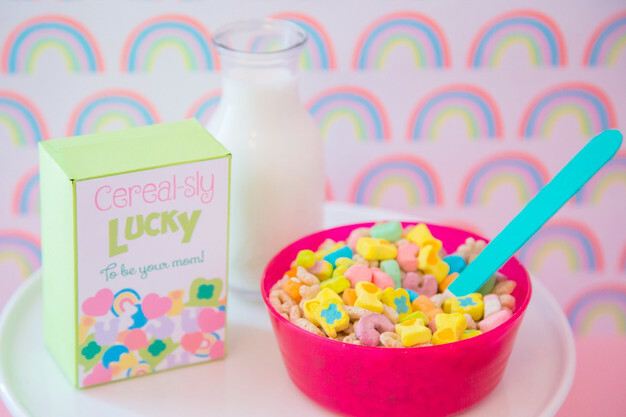 St. Patty's Day is around the corner and I have the PERFECT way to celebrate starting with breakfast!! 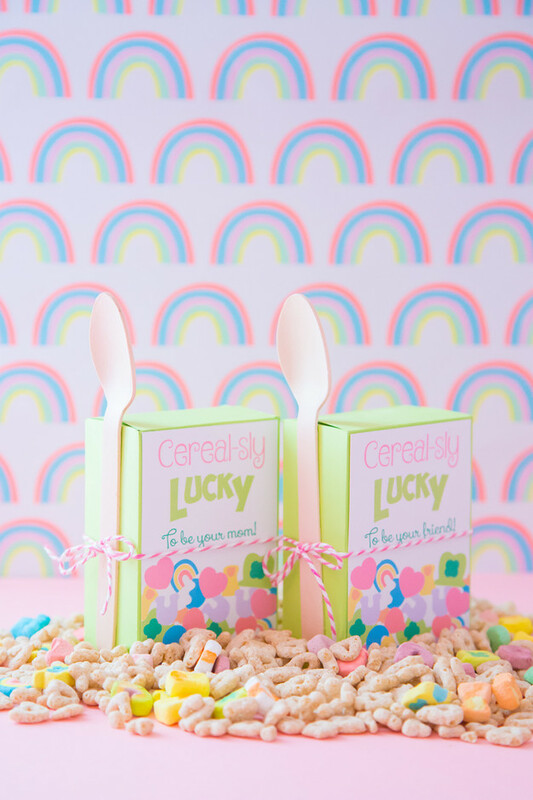 Lucky Charms is a staple when thinking about this Lucky holiday and this DIY Mini Cereal box is sure to make your child or friend feel loved! SOOOOOO, grab some cardstock and cereal and let's get to it! 1. 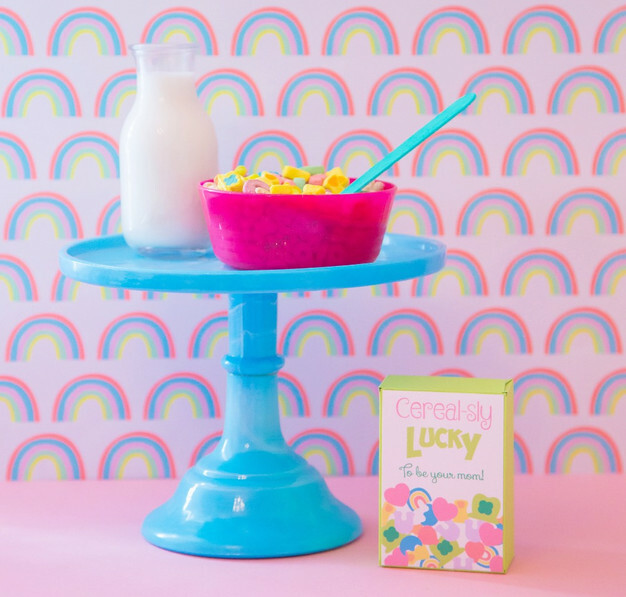 Print the cereal box template directly onto the cardstock. Cut the border and fold on the vertical lines to fold. Make sure the printed portion is on the inside. Glue only the bottom of the box shut. 2. 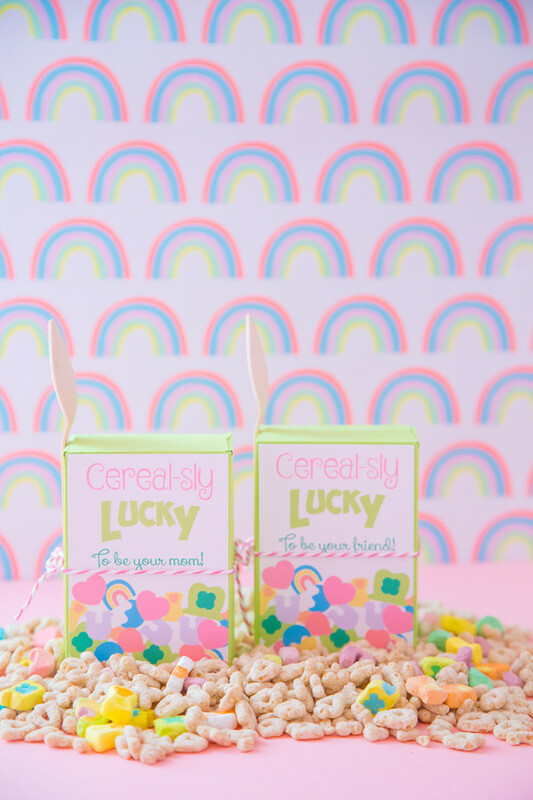 Print your cereal box cover of choice, cut and glue on the front of the cereal box. 3. 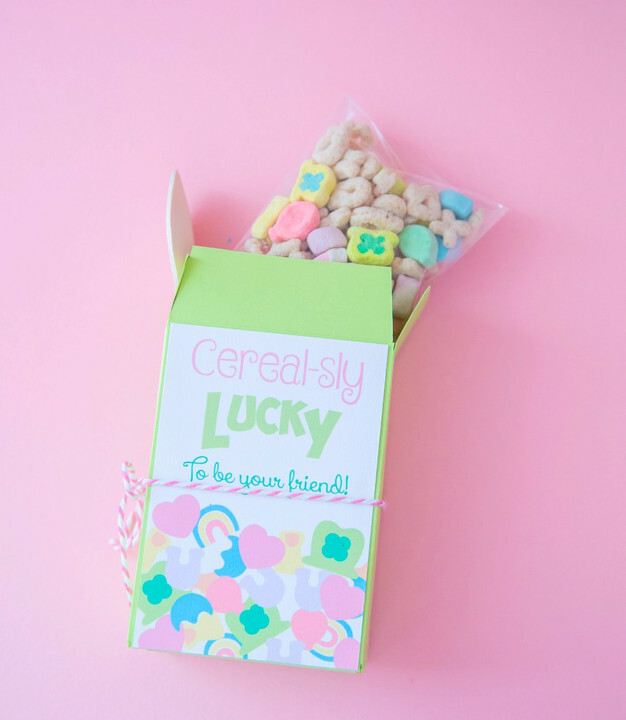 Pour the cereal into your cellophane bag and test it out by putting it inside the box to make sure it's not too much or too little. Once you've got the right amount, tape it shut to keep it fresh. A small snack size or sandwich size ziploc might work too..haven't tried it. 4. seal your box at the top and you're ready! If you want to give these as little treats to someone, tie some twine around the box and slip a little spoon into the side...SO CUTE!